At homify, we understand that you may fall out of love with your home one day. Whether your family has outgrown the house and is frustrated by a lack of space or you simply tire of looking at it entirely we want to help you rekindle the flame! Before calling it quits, consider adding an extension to your home. They can be configured in innumerable ways to suit your needs practically and stylistically. Let's take a look at some of our favourite home extensions that blend with an old house to create a stunning new home. A 1947 cottage with an incredible gabled roof stood alone beautifully. Now an groovy addition blends well with the existing home, giving it a gain in interior space enough to house a new bedroom and bathroom. The home boasts a stylish deck with intriguing architectural lines. We love this addition because it updates the home while maintaining its original modest charm. 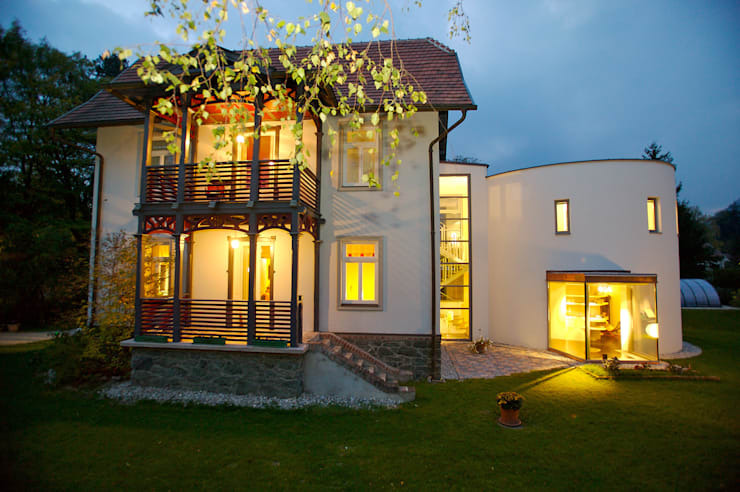 Next we'll look at a traditional Austrian villa that has an oval shaped extension that provides a big boost to the house. Inside the extension is a living room, music room, library, bedroom, and bathroom. They've added almost an entire home to this villa! With the addition of a well-designed stairway to increase access to the upper levels of the home, this is a thoughtfully designed home extension. 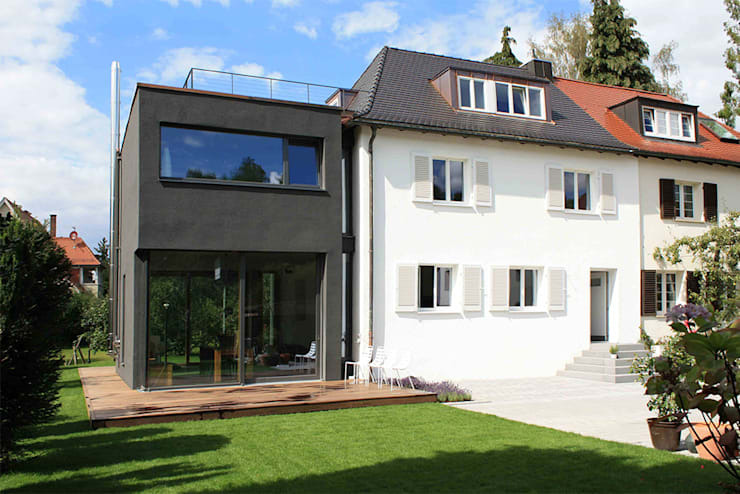 A modern block abuts an existing Stuttgart home, adding drama with this mysterious and modern black extension. The contrast between the old and new in this house is stunning! The gleaming white and matte black side by side is breathtaking. Incredible glazing makes the bottom level see-through and lets the greenery of the outdoors shine. We appreciate the diversity in the design of this house. 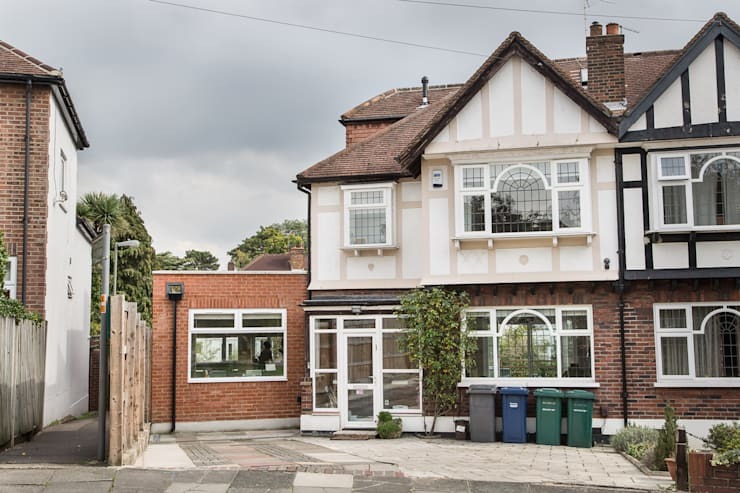 This demure brick extension of a traditional home is charming. The new design is flawlessly blended with the original home. Even the windows match! This addition is a great idea for those who want to open up their main floor and modernize their old house. 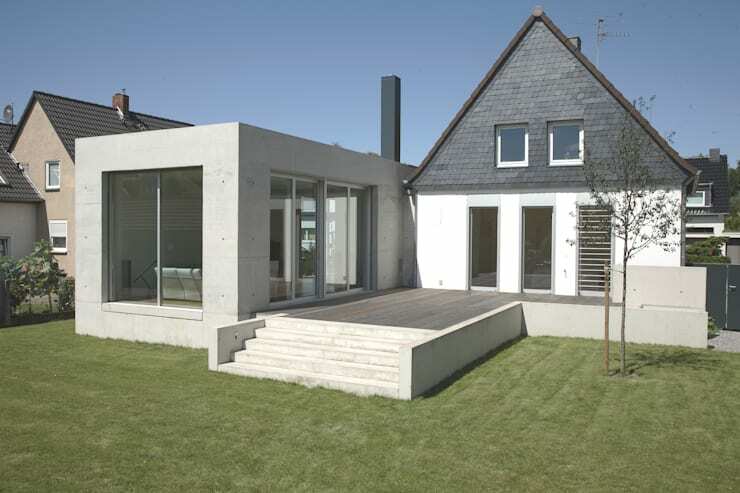 Architects added a concrete block extension to this house to create a more expansive interior. The original house was constructed in 1937 but the new addition makes it look like brand new home. The contemporary design of this addition, with its straight and symmetrical lines, give the house an urban appeal. They even added a large deck out back. For more ideas on how to update an old house, check out our before and after of an old French townhouse.